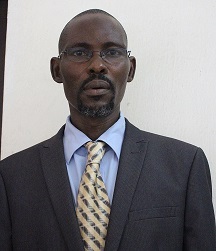 BARRISTER OWOEBUTE- OKEDEJI – ASSISTANT DIRECTOR AND HEAD OF LEGAL UNIT. Barrister L.M. Owoebute-Okedeji was born on the 2nd June, 1971 and hails from Agarawu in Lagos Island Local Government Area of Lagos State. He attended Lagos State University where he studied Law and proceeded to the Nigeria Law School where he got his BL in 1997. He joined the Lagos State Civil Service in the year 2002 after four years services as a Legal Officer Secretary’s Office at REAN Plc. He has worked in various departments in the Ministry of Justice before he was deployed to the Ministry of Tourism, Arts and Culture as the Head of the Legal Unit. He is a member of the Nigerian Bar Association (NBA). Previous ENG. MRS. OKUPEVI OLAIDE MARY – ASSISTANT DIRECTOR, COMPUTER ENGINEER & HEAD INFORMATION COMMUNICATION UNIT.